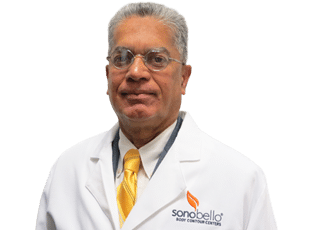 Dr. Zachariah is a triple Board Certified Cosmetic Surgeon, certified in Cosmetic Surgery, Otolaryngology Head and Neck Surgery and Facial Cosmetic Surgery with an M.D. from the Armed Forces Medical College in Poona, India. Dr. Zachariah completed two residencies at Downstate Medical Center of the University of New York. His first residency was in General Surgery and his second in Otolaryngology and Head and Neck Surgery. Dr. Zachariah completed his fellowship at the Head and Neck Surgery Associates with his mentor Ronald C. Hamaker, MD in Indianapolis, IN. Dr. Zachariah medical philosophy is to provide the best care in the safest way possible. Dr. Zachariah was born in India and is married with three children. His hobbies are listening to world music and ballroom dancing.